If you remember Pakistani selectors made Younis Khan angry by announcing that he will not be selected for World Cup due to his bad performance. Younis Khan taken this decision of selectors on his heart and now he is scoring centuries after centuries against Australia. On Thursday he scored his third continuous century against Australia on 1st day of second test match. he is not out on 111 runs after facing 155 balls. Pakistan scored 304 runs at end of first day for the loss of 2 wickets only. 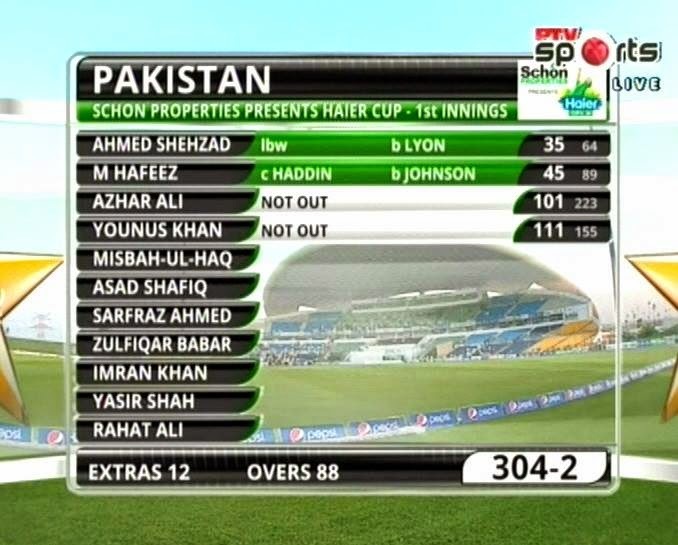 Azhar Ali is also not out on 101 runs with Younis.